Step Inside This House – 204 Exeter Avenue, San Carlos – Price Reduced on 7/27! This week, I inaugurate a new feature that will appear periodically. With apologies to Lyle Lovett, I call it “Step Inside This House.” It will profile a couple of unique features of one of my listings and give you a real idea of what it would be like to live in the house. First up, we look at 204 Exeter Avenue. 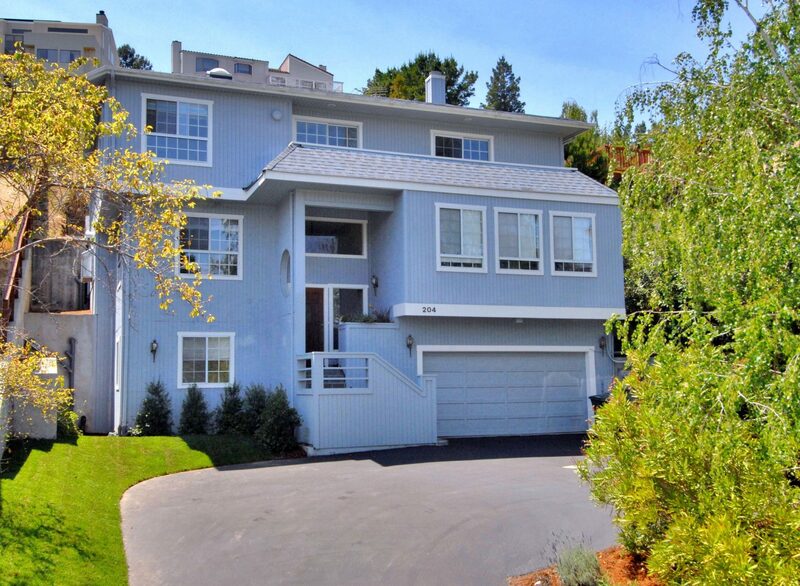 This large, turn-key home has a fully-remodeled kitchen, 4 large bedrooms and 3 1/2 bathrooms. In addition to the kitchen, three of the bathrooms were remodeled down to the studs. It also features newer eco-friendly (and easy-to-maintain!) strand woven bamboo floor throughout. The house is in the lower San Carlos hills, convenient to Carlmont High School and supermarket shopping at Carlmont Shopping Center. At 3450 square feet, there’s quite a lot to see in this house. 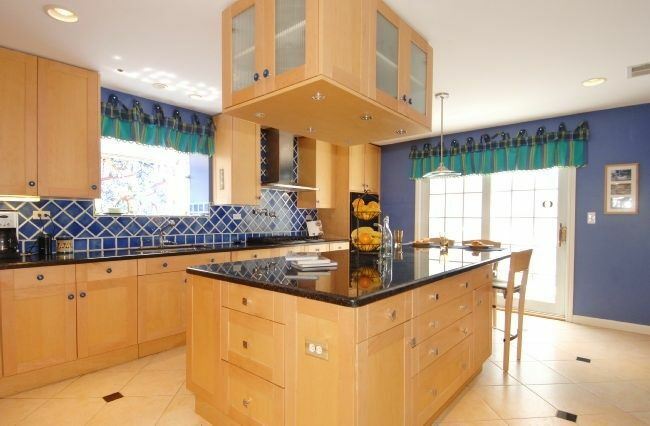 Without a doubt, the cook’s kitchen is the highlight of the public spaces, and the 9 ft. by 4 ft. island is a show piece. The current homeowner is an avid home cook and baker, and is, herself, a kitchen and bath designer. You can see the attention to detail in every corner of the kitchen. There is a rich mottled black slab granite on the island and perimeter countertop, and if you look at it carefully, you’ll see it’s not your average granite. It has gorgeous iridescent areas – some as large as 3” across the slab. A treat for the eye and great to work on. Since it’s granite, it’s also low maintenance, which is always a plus. The kitchen has great storage with some unique features such as the “cookie sheet cabinet.” It has 5 sheet pans that you can use to store all of your cooking and baking tools in one a layer, so they are easy to see and access. The homeowner “borrowed” this idea from a professional baker and cookbook author and it is super convenient. The appliances are all top-of-the-line. The Sub-Zero is the largest model – a 48” side-by-side. It is concealed by cabinet panels so you aren’t looking at an airplane! Should you need even more refrigerator and freezer space (remember the holidays! ), there’s a spare side by side in the garage that will convey to the home’s buyer. 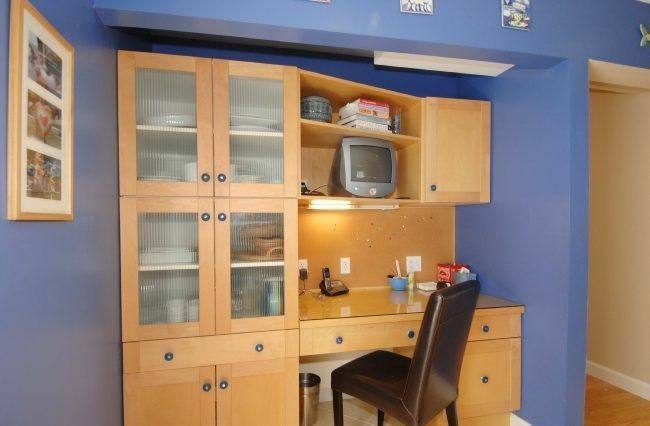 The microwave is on an eye- high shelf, behind a concealing cabinet door. It’s out of the way, so there’s more space on the countertop! The Bosch dishwasher is also concealed by a cabinet panel, and since all the buttons are in the top of the door, there’s nothing that tells you it’s a dishwasher! There’s also a Thermador double oven, one of which is convection, a 36” gas Viking cooktop and a pot filler, which makes filling large pots of water much easier. 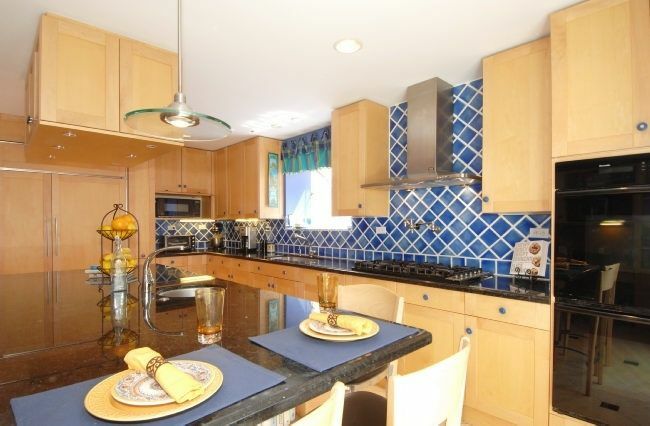 Since this is a family home, the homeowners have a “command center” conveniently located right in the kitchen. All important papers can be tacked right to the cork board above the desk. There’s even extra desk space that can be pulled out of the side cabinet when needed. Art supplies for all those school projects can be stored in the roll-out cabinets right near the desk area. Of course, it has plenty of outlets, task lighting and a phone jack, and there are several drawers and a filing cabinet right there to help you stay organized. As the pictures indicate, there’s storage galore, and a functional step-in pantry with shelving designed by California Closets. You’ll finally have a place to put all those wedding dishes and glasses that you never use because they are in boxes in the garage! 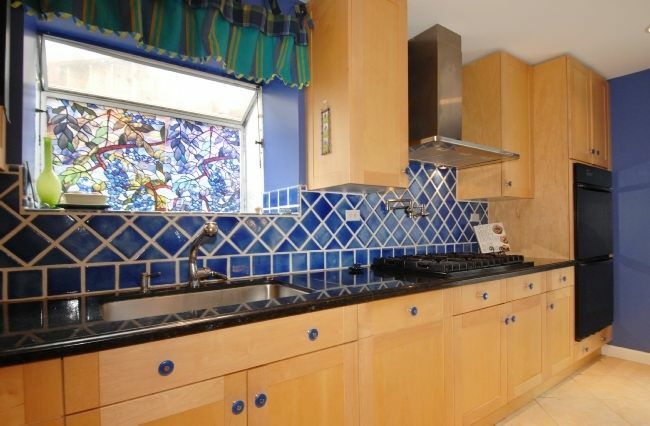 You’ll never have to wonder if you can buy that kitchen souvenir on your next vacation. There will always be space for it in this kitchen! You can even sit at the counter with bar stools. Not shown are the bookshelves on all three sides below the eat-in area. All the resources you need are close at hand. Let’s go upstairs! 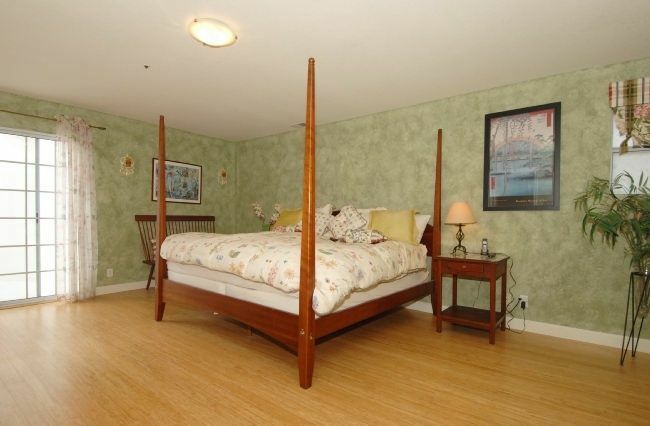 You can’t help but notice that the bedrooms are huge! 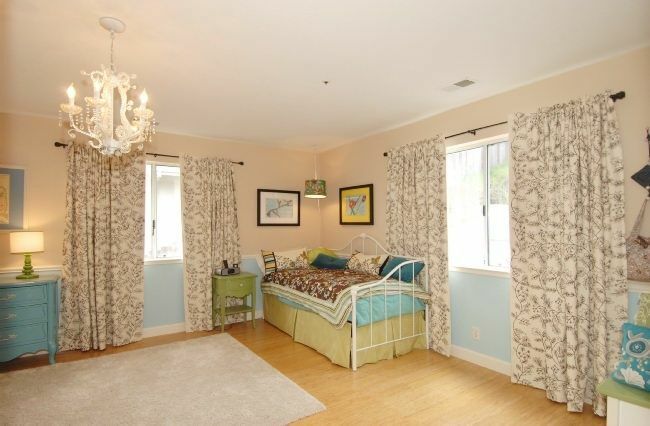 The Master Bedroom currently has two large dressers, two nightstands, a bench and a king size bed with space to spare! 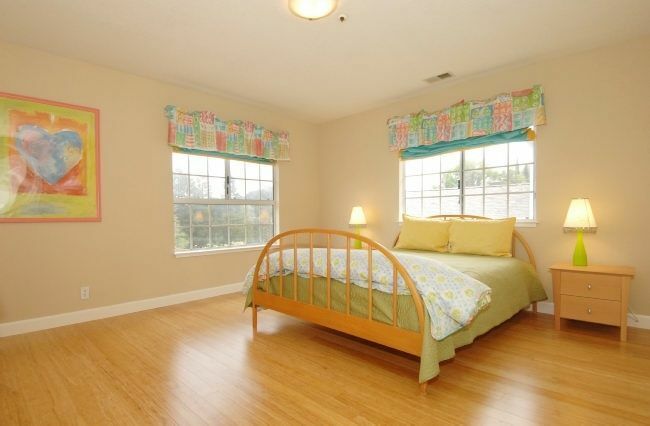 The second Master Bedroom is so large that it could easily be converted to a child’s playroom or teen lounge. The son of the homeowners previously had a couch, coffee table and two large chairs in his room in addition to the usual bedroom furniture and desk. Amazing! How great to give your kids a room of their own so they can hang out with their friends at home! Your children will love to have a space for all their toys inside their rooms (and you will, too!). 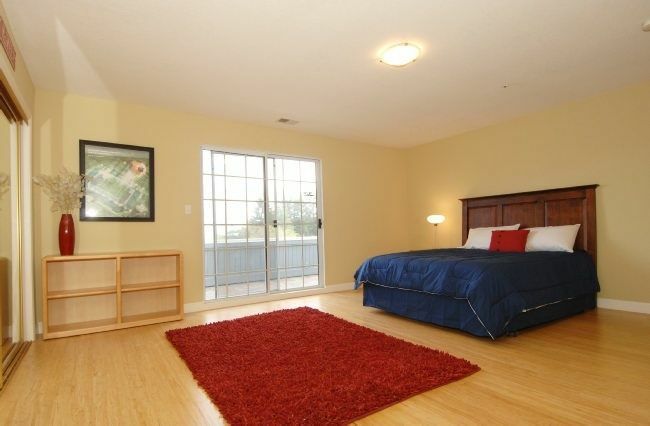 There’s even a spacious 4th bedroom that you can use as a guest room or in-law suite since it has a private bath! As you can see, 204 Exeter presents a unique home-buying opportunity. The finishes in the remodeled kitchen and bathrooms are definitely not something you will see in other homes. And the room sizes are definitely not something you see in homes at this price! You’ll relish the chance to have your own space, and your kids will love a place to put all their stuff. Check out the virtual tour here by clicking here and come to the next open house on Sunday, July 31st from 1-4 and see all of the great features this home has to offer.